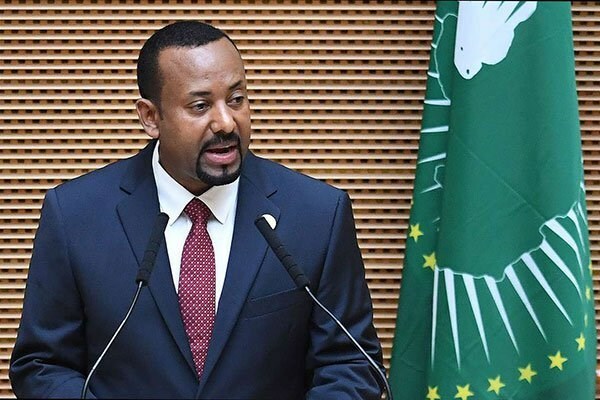 Ethiopian Prime Minister Abiy Ahmed is proposing that Kenya and Somalia deal with their sea boundary dispute as an independent issue, in order not to stall other projects affecting the three countries, including a security transition programme in Mogadishu. On Wednesday, the Ethiopian PM mediated a less-than-colourful meeting in Nairobi between Presidents Uhuru Kenyatta and Somalia’s Mohamed Abdullahi Mohamed in a bid to restore diplomatic normalcy between the two sides. Despite Mogadishu announcing that respective ambassadors will resume their duties after they were sent away for ‘consultations’, Kenya and Somalia still differed on the mechanisms of resolving the dispute. Mogadishu, one Somali diplomat told the Nation, will wait for the dispute to be decided by the International Court of Justice in The Hague, even as Kenya seeks an out-of-court deal and reversion to a mutually agreeable map. The Kenyan side largely kept silent on the details of the meeting, and there was no joint communique issued after the closed-door meeting at State House Nairobi as would have been expected. But Mr Mohamed’s spokesman Abdinur Mohamed Ahmed said the leaders agreed to allow back their respective envoys. “Their Excellencies President Mohammed Farmaajo and President Uhuru Kenyatta agreed on strengthening diplomatic ties between the two countries. “They also agreed to have their respective ambassadors return to each country’s mission to resume their important duties, cooperation and Partnership,” he indicated on Wednesday afternoon. As the chairman of the regional eight-member bloc Intergovernmental Authority on Development (Igad), Dr Ahmed had offered to mediate between the two countries when he met their respective leaders last week in Addis. Daawo:Kacdoonkii suudaan (Inqilaabkii Cumar Albashiir ) Barnaamijka Arimaha Carabta. Wada-hadallada Somaliland iyo Somalia – ma Garnaqsi baa mise waa Masaalaxo? Somaliland: An Experiment in Democracy (Somalia) | History Documentary | Reel Truth History. Daawo:Mudaharaaddo Lagaga Soo Horjeedo Kufsiga Soo Noqnoqdey oo Ka dhacay Garoowe. Daawo Warbixin: Maxaa u Sabab ah in Dollarku Jabo, Maciishaduna Halkeedii Taagnaato? Daawo:Soomaalidda Isku Sharaxaysa Baarlamaanka Midowga Yurub oo Soo Badanaysa. Daawo:Dalka Suudaan 00 eryey Ergeygii U fadhiyey Dalka magalada waashitoon. Daawo:71 kii Haween Ee Ugu Horeyey Somaliland Oo Dhamaystay Barnaamijka Shaqo Qaran.